The grade of the nearly six-mile loop of this trail is the only thing about it that is gentle. The history here is anything but pleasant. It is the site of one of America’s most awful railroad disasters. In 1910, two passenger trains were derailed by an avalanche, killing nearly 100 people. 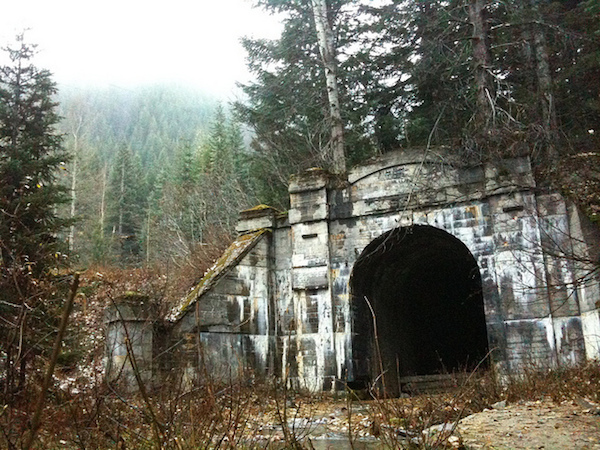 The tracks have been relocated since then but the abysmally dark tunnels are said to be a hotbed of paranormal activity. The railroad may have abandoned the tunnels but some of the passengers seem to have not.